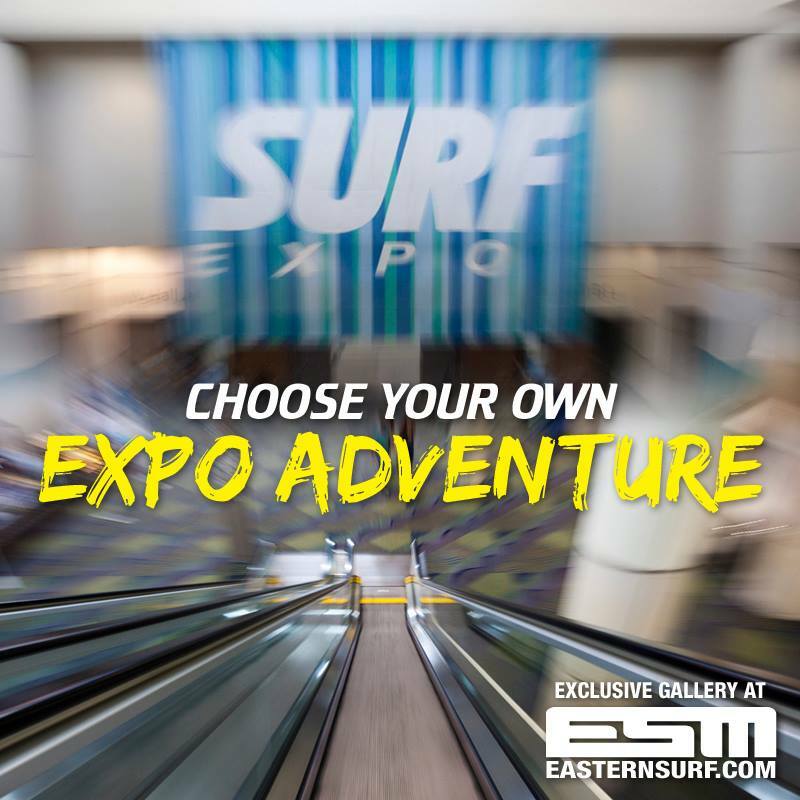 We are back from the SURF EXPO in Florida! | Living Water Surf Co.
We are back from the SURF EXPO in Florida! The Barend family just returned from the SURF Expo in Florida. A great opportunity to check out the latest and greatest surf, skate, sup gear and place the season’s orders! Living Water is stoked to offer the best gear possible and keep you shredding with style in 2015! 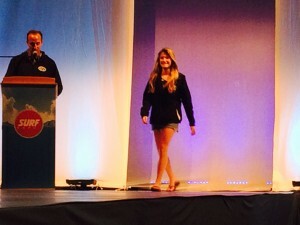 Also, Living Water team rider Maria Barend was selected for the 2015 ESA All Star Team this year. 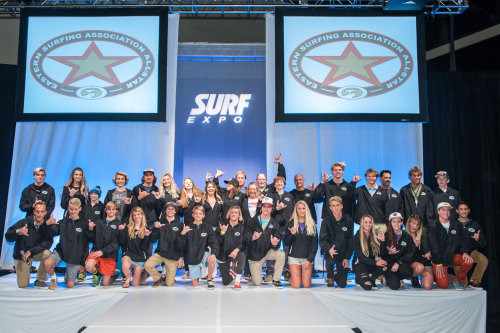 The entire All Star team was presented to the surf industry in a ceremony at SURF Expo. Living Water congratulates all 2015 East Coast All Star Team members, yewwww!!! The ESA ALL Star team also arranged a training/surf session with Shea Lopez at the Inlet over the weekend and celabratory pizza party afterwards! Living Water is OPEN and fully stocked to keep you fully stoked! Posted in Uncategorized 4 years, 3 months ago at 12:23 pm. Previous Post: Living Water wishes you a very Merry Christmas! Next Post: Maria Barend stoked on training in Hawaii with ESA All Star Girls Team this week!